There are just three changes to the DHL Western Province team to take on the Steval Pumas in Nelspruit this weekend. Following their convincing victory against the EP Kings at City Park, coach John Dobson has been able to maintain some valuable continuity for the match which kicks off at 19h00 at Mbombela Stadium on Friday. With Grant Hermanus sidelined due to a hip-pointer injury Devon Williams moves to fullback, and his place on the wing is taken by the returning Khanyo Ngcukana, while in midfield Tim Whitehead slots in at outside centre. The only change in the forward pack sees JD Schickerling make his first appearance of the campaign, with Meyer Swanepoel moving to the replacements bench. Dobson said that while it is encouraging to have some settled combinations, his team know they are in for a tough examination up in Nelspruit.“It is great to have some consistency, especially with quality players like Tim Whitehead, Khanyo Ngcukana and JD Schickerling coming into the side as well. “However, we are under no illusions about how tough it is to win in Nelspruit and the players know that we need to step up in a few areas to come away with a win there,” he said. 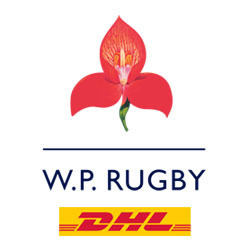 DHL Western Province: 15 Devon Williams, 14 Khanyo Ngcukana, 13 Tim Whitehead, 12 Daniel du Plessis, 11 JP Lewis, 10 Scott van Breda, 9 Justin Phillips, 8 Kobus van Dyk, 7 Janco Venter, 6 Luke Stringer, 5 Chris van Zyl (captain), 4 JD Schickerling, 3 Frans van Wyk, 2 Chad Solomon, 1 JP Smith. Replacements: 16 Mike Willemse, 17 Kyle Whyte, 18 Meyer Swanepoel, 19 Beyers de Villiers, 20 Damian Stevens, 21 Sibahle Maxwane, 22 Berton Klaassen.